Sundays are for relaxing but there's always errands to run. Sundays also mean getting ready to have a great week. Always striving to push the needle, let's make it easier on our hard-working week-day selves and meal prep! 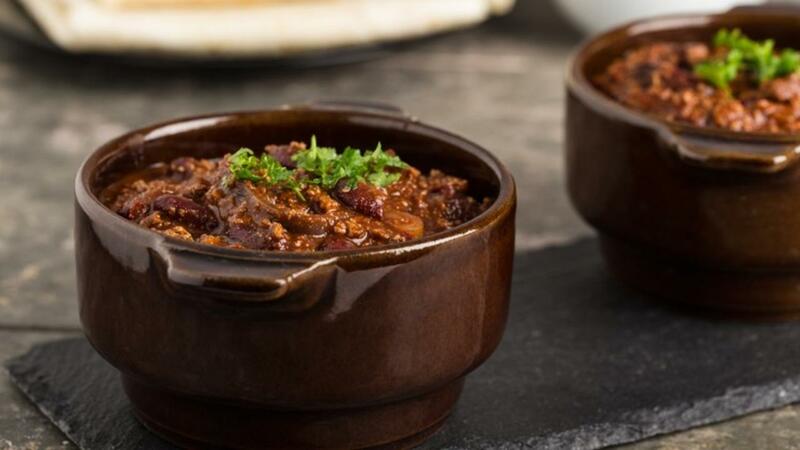 I put together two recipes for slow-cooker chili that are quick and painless to prep and will give you a few lunches for the week. The slow-cooker is one of my favorite methods of sneaking those 4-5 servings of vegetables in. With minimal prep-time in the mornings, you can have the enticing smell of slow-cooking chili wafting through your house until its ready. No chili tastes the same and use it as an opportunity to throw in new ingredients and personalize it to your taste! 1. Veggies - It's super easy to pack the crockpot full of diced bell peppers, tomatoes, onion for starters. If your getting crazy with it, throw in some nutrient packed foods such as diced mushrooms (Vit. D), spinach (Iron), or sweet potato (Vitamin A)! 2. Protein - Slow-cooking organic lean beef, turkey, or chicken for hours at a time is a great way to get uber flavorful protein. Protein helps you feel full throughout the day as well as helps you build and repair muscle. 3. Fiber - Add some beans to your chili to boost that fiber content! Men are recommended 30-38 grams per day, Women need 25 grams. Eating plenty of fiber is key for a healthy gut and digestive health. Black beans are fiber superstars, one cup has 15 grams of fiber. 1. Dice all vegetables ingredients, add to crockpot. 2. Add ground turkey to crockpot, add all the spices and mix throughly. 3. Add tomato sauce, diced tomatoes, and black beans, mix thoroughly. 4. Set crock pot to cook either 4 hours on HIGH or 8 hours on LOW.